Introduction / a bit about me! Hello everyone, welcome to my new blog! I’ve been wanting to make a blog for a while now and I thought it was about time I finally plucked up the courage and did it, so here I am! As you probably know, my name is Clare. I’m 20 years old, 21 next week (scary, I know!) and I’m currently in my third year of university studying English and Creative Writing. Music is a huge part of my life and something which I’m really passionate about; I really want to go into a career in something like music journalism, which is why I decided to start up this blog. I hope it’ll gain me some more confidence and experience in writing about music and of course it’ll be something I enjoy and I hope you guys will too! I’ll mostly be posting concert and music reviews, general posts about the kinds of music I like, opinions on popular and not so popular music and basically anything that pops into my mind to do with the world of music! As you can probably tell, I’m a HUGE concert enthusiast, I actually attempted to count how many concerts I’ve ever been to and I got to about 25 and gave up because I lost count of them all... So I’ll have a lot of posts about concerts; some tips on getting good tickets, my all-time favourite concerts and things like that. My favourite artists include One Direction (my ultimate faves), Taylor Swift, Olly Murs, Ariana Grande, Lawson, Bastille, The 1975 among many others, so my music taste is pretty mixed but basically pop is my all time favourite genre! So on my blog there’s hopefully going to be something for everyone, which I hope people are going to enjoy. I do have the tendency to ramble a little; after all I am an English student... So I think that’s enough for now, I just wanted to give you all a bit of an insight into what kind of thing you can expect from my blog and a bit of background about me. 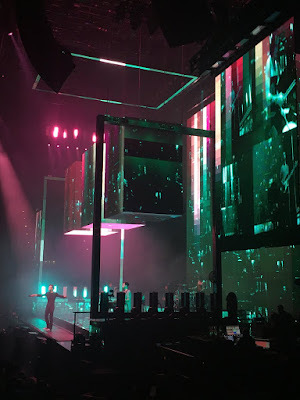 Keep an eye out for my first proper post soon (I'm going to yet another concert on Monday so most probably a review of that) and I hope you enjoy my blog!